The Economist article from a year ago entitled Plans to save the Dead Sea included a nice map summarizing a series of practical peace initiatives. This is a very compelling combination of business prosperity parks, water projects, translogistics infrastructure (e.g. road & rail), and more. The area is the heart of a vital Levant and really ought to thrive. This notion is at the core of the excellent Hummus project, one of the winners of the Jerusalem 2050 Competition at MIT. Perhaps if only we could rally essential investments and bring the helping hand of prosperity to the region. MIT alumna (and winner of the MIT $100K Entrepreneurship Competition and founding director of the MIT Deshpande Center) Krisztina Holly writes from USC about the first anniversary of her USC Stevens Institute for Innovation, an Integrative, Multidisciplinary, Entrepreneurial, Practical & Pioneering initiative at USC to weave together invention, entrepreneurship, and innovation for the betterment of humanity. In the past year, they've connected with hundreds of students, faculty, and staff from each of the 18 Schools at USC, spinning out 8 startups, hired over two-dozen folks to the team, and set the stage for tremendous escalation in the years to come. Very exciting! 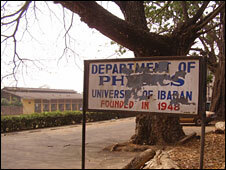 Excellent article by the BBC today entitled Addressing Nigeria's brain drain about the inequities and challenges academics and researchers face in Africa. And the intense economic attraction of moving to wealthy nations. 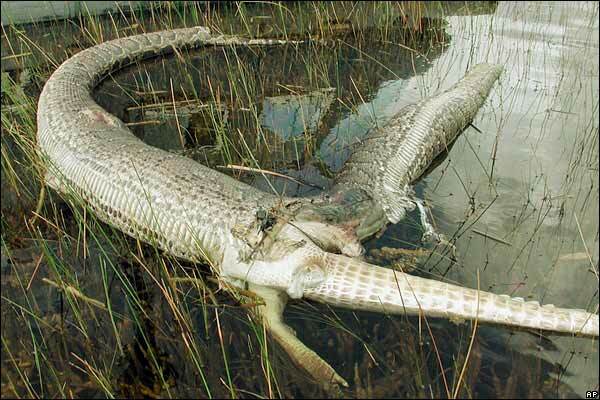 The problem is acute. All sorts of talented people are drawn away towards higher pay and better working conditions -- doctors, nurses, pharmacists, accountants, lawyers, professionals, tradesmen, and more. And yet these talented people are precisely those who can help build up local prosperity. Many do indeed wish they could stay at home, but the practical facts are that -- today -- their families and loved ones and they themselves are better off migrating. I hope that that governments realize this, that they enact more business-friendly policies, that they welcome developmental entrepreneurs -- such as those from my class and the MIT $100K Entrepreneurship Competition -- and that they embrace inflows of both financial and human capital. Suez Canal ~ Historic Gigaproject! The Suez Canal in Egypt was one of the earliest modern western gigaprojects (versus say, building Hadrian's Wall betwixt England & Scotland, or, orders of magnitude more impressive -- and yet economically useless -- building the Great Pyramids or Great Wall of China). MIT IDEAS Competition ~ Finale Thurs 5/1! MIT Entrepreneurship Competition ~ Finale Wed 5/14! Project Water ~ Developmental Infrastructure Innovation! As the team describes, "Project Water provides self-sustaining water treatment technologies that develop local economy and deliver pure water to the 100 million rural population of Bangladesh." Yes, indeed, this weekend is the Boston FIRST Robotics competition at the Agannis Arena at BU! Great Judges, fantastic High School teams, and lots of robo-motion! Another great article by MIT News Writer David Chandler entitled Bringing a bit of MIT to Africa about efforts this past IAP January 2008 by Cameroonian MIT student Edison Achelengwa to bring MIT's OpenCourseWare to universities in his homeland. This is one of the many essential student-driven initiatives focused on MIT in Africa (and in many other developing regions) supported by the Public Service Center, International Development Initiative, and other sources, such as our IDRC-funded Developmental Entrepreneurship Seed Grants. 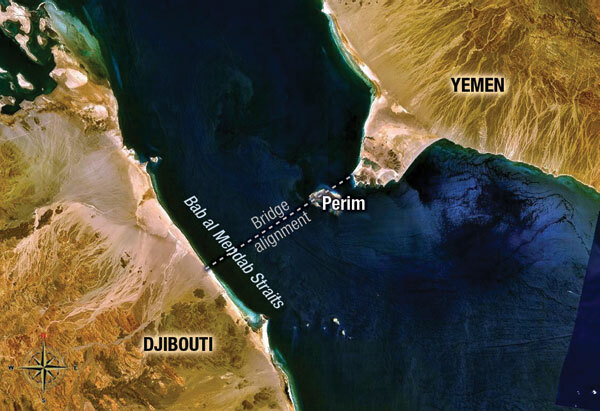 Bridging between Iran in the north and Oman in the south of the Strait of Hormuz... ...would enable high-speed movement of goods between South & East Asia and Central & South Africa. Especially if this gigaproject is done in concert with the bridge between Yemen & Djibouti as well as transconnections across KSA and, ideally, also rail-links connecting Oman & Yemen. I hosted Manish Bhardwaj -- MIT doctoral student & co-founder of Innovators in Health -- on my HighTechFever TV show tonight. We discussed his own experience as a multi-company entrepreneur and as a grad student in wireless chips design, and, of course, his team's efforts to improve TB treatment starting in Bihar, India as written up in a nice article by MIT's David Chandler earlier this year. TB, or Tuberculosis, affects millions of people annually, especially in developing countries. Innovators in Health, or IIH, seeks to "gather up-to-date patient and program information to dramatically improve healthcare delivery" by focusing on capturing data about the patient experience -- i.e. do people take their pills, get visited by healthworkers, and stick with their treatment? IIH does this through a holistic solution which includes their uBox -- a smart pillbox which tracks these data and allow doctors to really understand whether the treatment is working. It's exciting to see construction underway for the new MIT Sloan building e62 creating a new eastern gateway to campus. Over 200,000 square feet of space plus more than 400 car parking garage underneath. And with Charles River frontage. The building's not perfect, alas, lacking both a rooftop bar & grill and roofgarden function space (as I first suggested in 2001 when thinking about Sloan Futures), but at least it's a step in the direction of making MIT a LEED Campus by 2020. 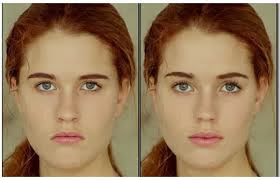 'Shop'd Faces ~ Is Beauty a Matter of Millimeters? Gizmodiva spotlights an Israeli system which slightly tweaks images of faces to make them more beautiful. Judge for yourself... Is Beauty really a matter of millimeters? Btw, I had to find archival foto because the assholes at gizmodiva now refuse the reference link. Only 60% of installed track worldwide uses the Standard Gauge for railways where the distance between the inner-edges of tracks is 1,435 millimeters or 4 feet 8.5 inches... There's a variety of solutions to the change-of-gauge problem, including Dual Gauge and variable axles. This Friday 3/28, 2008 at MIT, the Boston Society of Architects and MIT's School of Architecture and Planning are running MassImpact, a symposium to survey the issues and opportunities facing modern cities. Their stated goal is to "establish a design and policy agenda for Boston and the New England region that benefits from best practices elsewhere and sets new standards for ensuring the environmental, economic and social sustainability of the city in a global economy." MIT SDM student Nada Hashmi just directed me to one of the earliest successful Saudi gigaprojects, the King Fahd Causeway between KSA and Bahrain... There is tremendous power to physical connections and I hope that the various Saudi-external cross-border linkages (plus myriad Saudi-internal links) will bear economic and societal fruit in years to come. While thinking about the design for a new apartment complex near MIT straddling a cogeneration power-plant, I thought why not use the vented steam & otherwise waste heat to incubate a botanical garden, such as this lovely example in Washington DC... A botanical garden would bring tremendous benefits, most certainly aesthetics and waste recycling, but also it could be a function space or a restaurant area and certainly a natural asset, a repository of exotic flora. Djibouti as Dubai or Singapore? Nice Economist article entitled St Tropez in the Horn? A tiny country makes the best of a bad neighbourhood spotlighting Djibouti, a former French colony and its prospects. With some wise governance and good management, concentration on trade and import-export, and a bit of investment (and a gigaproject or two), this nation should thrive much like Dubai & Singapore. 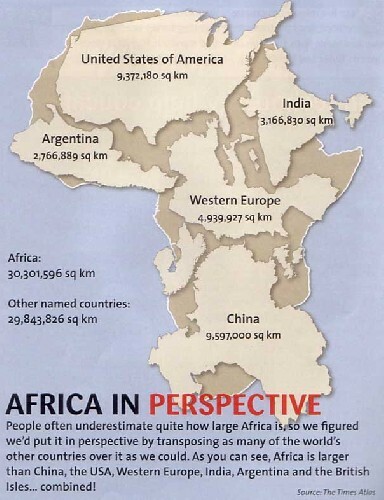 And, by the way, Djibouti is only "tiny" in comparison to the Sudan (the size of Western Europe) and all of Africa (almost equal in size to North & South America combined). Djibouti is about the size of Massachusetts or El Salvador. Stu Schmill ~ MIT's New Dean of Admissions! Yes, indeed! My MIT novice heavyweight crew coach Stu Schmill (MIT Class of 1986) was just tapped to be the new MIT Dean of Admissions! He's a fantastic person -- I personally appreciated his deft hand and wise outlook as an undergrad oarsman under his tutelage -- and I could not be more proud of this selection! I'm wholeheartedly enthusiastic about this excellent choice and have pledged any and all support I can offer! Saudi Economic Cities are spearheaded by SAGIA, the Saudi Arabian General Investment Authority. These cities are in the northwest, southwest, and center-east of the country, with the biggest being KAEC, the King Abdullah Economic City north of Jeddah, located on the central-west of KSA on the Red Sea. 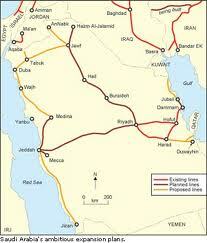 The Saudi Landbridge is a rail-link cutting from Riyadh west to Jeddah, and is the beginning of a grand rail-network plan, including a modernized Hejaz Railway from Tabuk in the north down south to Medina and beyond, ultimately to at least Jizan (and perhaps to a Yemen-Djibouti bridge-tunnel). Human capital development is perhaps even more important than physical infrastructure, and it is toward this goal that the Saudi's are investing in universities, most visibly KAUST, the King Abdullah University of Science and Technology north of Jeddah on the Red Sea. 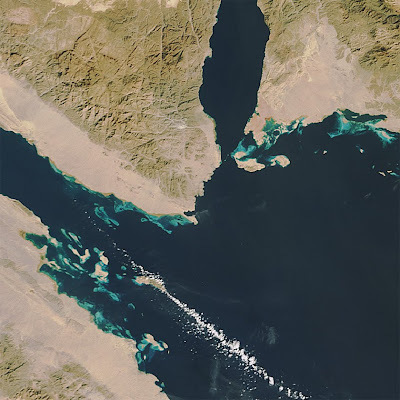 Big Infrastructure in KSA includes the Egypt-Saudi bridge across the Tiran Strait spanning the Gulf of Aqaba. This would be a direct link to Sharm el-Sheikh and, through the Sinai & across the Suez to Cairo, Alexandria, and beyond. I would further argue that the proposed link between Yemen and Djibouti -- backed in part by Yemeni-Saudi-led Bin Laden Group -- is also Big Infrastructure relevant to KSA since it connects a billion Africans to the MENACA region & beyond... All of these are key elements to bringing prosperity to the broad mass of arabs & expats in the region and empowering entrepreneurial action pervasively. 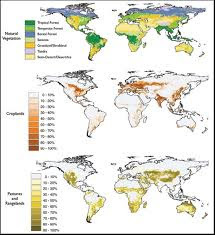 Today's Wall Street Journal has an article entitled New Limits to Growth Revive Malthusian Fears: Spread of Prosperity Brings Supply Woes; Slaking China's Thirst commenting on the massive changes in commodity and natural resource demands as humanity progresses to First World, Worldwide. There's an ideological war-of-words, battle-of-ideas, and political movement-clash emerging between the market techno-optimists and the neo-luddite enviro-pessimists. Techno-optimists think most if not all limits can be overcome -- or end-run -- by a combination of economic incentives -- i.e. market-mechanisms, prices, and the self-balancing nature of supply & demand -- and transformative innovations -- i.e. those inventions which dial-up efficiency, employ new materials or processes, enable new usage modes, and more. Neo-luddite enviro-pessimists, by contrast, emphasize the slowness of macro-technological change, the irreversibility of environmental damage, the social injustice inherent in market-mechanisms, and so on. Trans Global Highway ~ Crazy or Just Really Bold? Millennium Villages ~ Too Top-Down? Rockin' Cool Global Rainfall & Temp Anime Maps! MyBikeLane ~ Participatory Law Enforcement! Emerging Market for Space Planes? Blast from Past ~ Monica Rixman! Saul Griffith Describing Howtoons & Kidventions! What's Up Doc? Doctor Immerman! Scouts to DIY with Howtoons @ MIT Museum! Howtoons DIY ~ Bending Light!